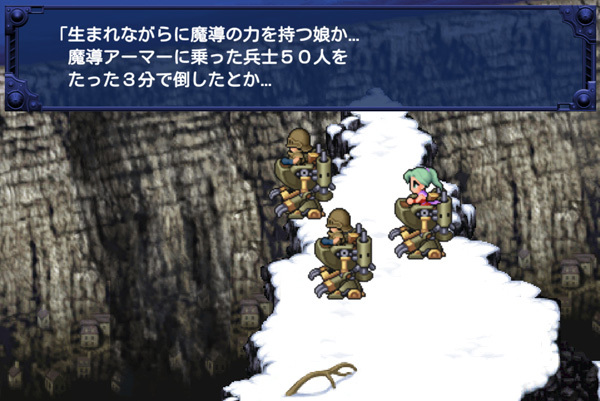 Square Enix has sent out screenshots for their upcoming iOS remake of Final Fantasy 6. They look...good-ish? If you're expecting a full 3D remake like the mobile FF4, you're going to be disappointed. Square Enix simply cleaned up the existing images. There are some noticeable improvements, though. 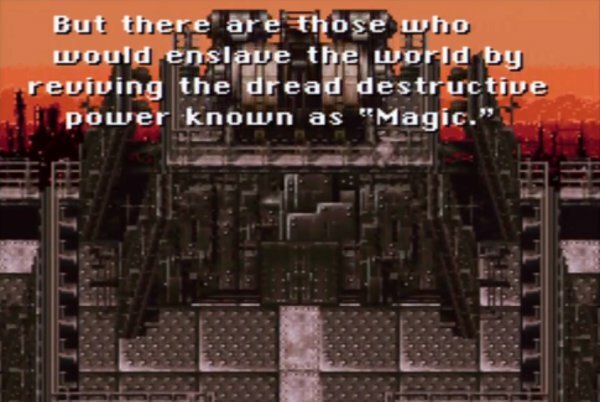 I'd chalk up some of the difference to the poor quality of the SNES screenshot. Nonetheless, there are some clear improvements in the visuals for the mobile version. The grooves in the building, the railings and the rivets are much more clearly defined. The door's a lot more prominent as well. 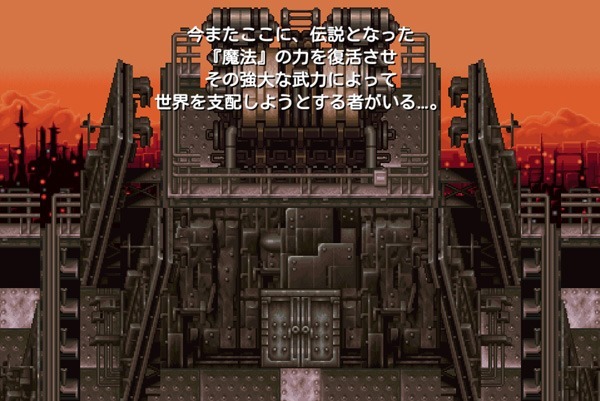 In the SNES version, it just sort of blends into the rest of the building. The difference in graphics is more striking here because we actually get to see some characters. The mobile incarnations of Terra and her companions look like cartoons rather than sprites. It's not unlike the visual remakes that some old fighting games have received. The new look might ruffle some feathers among the nostalgia crowd but as someone who's played through FF6 multiple times, I'm happy with any kind of visual difference. Once again, they've brightened up the environment a bit as well. The mountains behind the trio and the buildings at their base are much easier to see. Square Enix has apparently invented the technology necessary to render white snow, too. I'm curious whether they've switched this scene from night to day-time for the remake. Most importantly, though: next-gen dialogue windows! Dat border. Final Fantasy 6 will be released this winter for Android and iOS devices. It's not clear whether it's going to be the 2013 or 2014 side of this winter. I would guess the latter but maybe Square Enix will slip us a holiday surprise. 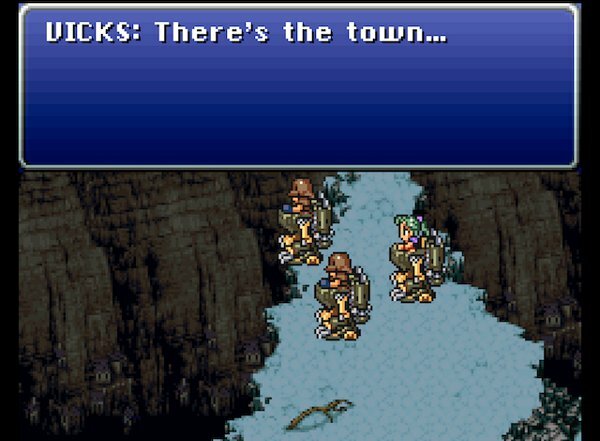 FF6 is the latest in a long line of remakes Square Enix has released on mobile devices. Last week they rolled out Final Fantasy 4: The After Years, a sequel to FF4.